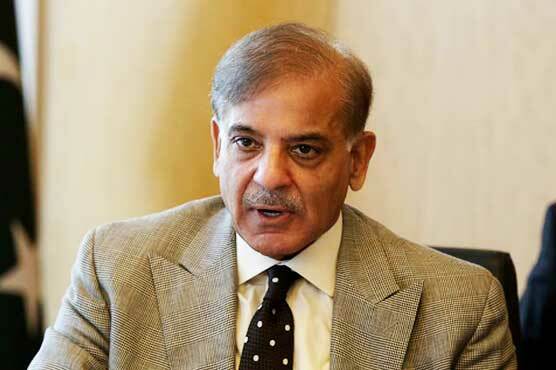 LAHORE: former Punjab chief minister (CM) and Pakistan Muslim League-Nawaz (PML-N) President Shehbaz Sharif said on Wednesday that it was PML-N’s constitutional right to ‘welcome’ convicted former prime minister (PM) and PML-N supremo Nawaz Sharif, reported a local media outlet. “I will go to the airport along with party workers to receive Nawaz on July 13,” the PML-N president asserted. “We will welcome him in a peaceful manner,” he said, assuring that PML-N’s workers will not “damage” official property during the public rally. “Free and fair elections are the need of the hour and all parties must be allowed to campaign freely,” the PML-N president asserted. Earlier, several union council (UC) chairmen, vice chairmen and councillors were arrested from several areas in Lahore following which party workers protested outside police stations. An emergency press conference was held by senior party members including Pervaiz Malik, Khawaja Saad Rafique and Sardar Ayaz Sadiq at 3:30am. Earlier, the National Accountability Bureau (NAB) had arranged for two helicopters for the arrests of the convicted former PM and his daughter Maryam Nawaz. The anti-corruption watchdog has planned to park one helicopter at the New Islamabad International Airport and the other at the Allama Iqbal International Airport in Lahore.